…which hopefully lead to collaboration if you work hard at establishing clarity. (4 Cs become 6 which makes me think of this). Last week I was involved in the Stirling Crucible, facilitating the Collaboration lab, so I used this as an opportunity to consider confusion. Crucible events bring together researchers from a range of diverse disciplines who explore opportunities to work together – an ideal audience for this discussion. To set up the discussions I put people into small groups with mixed research interests and backgrounds. I then suggested a set of questions that I thought might reduce confusion at various points in the collaborative life cycle. I asked the groups to consider which questions they would add to the list; which tackled the key roots of confusion and ask each other some of the questions, to see if they were an effective mechanism to tackle this problem. What is missing from your disciplinary approach? Are there any common misconceptions about your research that you’ve faced? What insights can you share about reviewers from your discipline and how they might respond to this project? What are the core principles of your work? What do you need from other collaborators so that you can deliver your contribution to best effect? What will you take responsibility for? Which funders do you tend to approach and why (funders have different cultures and objectives – someone with a track record with a very different funder may be in a habit of delivering against these)? What worries you about the project? Can you describe the roles and responsibilities of all the other collaborators? Why are you doing this/what inspires you? Are there any words that you use which might not mean what I think they mean? Are there any words I use that aren’t clear to you? These words are particularly interesting to me and in a slightly geeky way, I collect them and turn them into wordclouds (sad I know, but mostly harmless). What does rigour look like in your field? How do you define validity in your results? These questions acknowledge more explicitly the tensions that can sometimes arise if disciplines have very different attitudes to sample size or tend to use quantitative rather than qualitative methods. There were also discussions about finding ways to explore what someone’s reaction might be to leaving their “comfort zone”. A personal bias towards a particular methodology might influence their attitudes to other parts of the project and the outputs produced by collaborators. In a worst case scenario this might lead to longer term problems where errors are introduced into information passed between partners because the implications of how data is gathered/how it is subsequently processed aren’t understood. 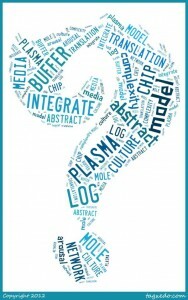 Who would be involved in writing the proposed published outputs? Would anyone else be named as an author? Are there any political implications when we publish? Do you need to include anyone or direct the work at particular journals? Although these discussions took place at an event supported and funded by an institution, there was also acknowledgement that there are often less positive attitudes towards collaboration in some schools or institutes. The Stirling “Cruciblists” talked about the opportunity cost of entering into a collaboration, forming questions which investigated the “paths not taken” by researchers who have chosen to collaborate. They also wanted to know more about the context in which the other researcher operated so as to understand what tensions may exist between their disciplinary based career progression and a project partnered with another field. If you weren’t involved in this project, what would you be doing instead? What value does this project have to your career? Which of the outcomes (societal and academic) are particularly rewarding for you? Are there any tensions between this project and your career progression? Is your department supportive of your collaborative interests outside your field? How does this project fit with your other interests? What are the funding models that you usually work under? What are the levels of (administrative) support for collaboration in your institution? How much experience do people have of these kinds of projects? What does everyone want out of the project? Is there a single aim? Who is in charge and what does this mean? Who has responsibility for others and them delivering right quality of work? There was also a feeling that taking on a leadership role meant understanding the implications of any local/national legislation on the project – again, digging into what is invisible because it is familiar to the “locals” but might represent a profound difference which causes problems once the project is established. These legislative differences (different ethical frameworks, regulatory bodies etc) were one feature of wider cultural differences. In workshops on international collaborations, I introduce the work of Geert Hofstede. His studies on the cultural dimensions that affect working practices and relationships need to be carefully introduced, as it is easy to present them as national stereotypes. However, they provide a useful starting point for further questions – in our discussions these included attitudes to time keeping and deadlines, impact of local pressures about money and publishing. Imagine in three years time that the project has utterly failed. What has gone wrong? Imagine that the project doesn’t succeed. If it fails to deliver successful results, what will still interest you about the project and what will still have value for you? If there are tensions and problems in the early stages of the project (~in the first 9 months), what will have led to these? The potential for personality clashes is always there and one reason why I try to start any collaboration with a small, low-risk project which enables me to “test-drive” any potential collaborators before my success and reputation are linked to them. The final group presented two of my favourite questions, but are perhaps ones that you couldn’t ask directly! Will your enemies bring me down? Am I a human shield to protect you and this project from your enemies/bad reputation? Instead these might be worth keeping at the front of your mind as you ask around your network for feedback on your potential collaborator. Is it more beneficial for us to remain as competitors? The thinking behind this question is that by remaining independent and putting in two separate applications for each call that it is possible to build and to demonstrate a greater critical mass in the field. If everyone collaborates, it can have the unexpected outcome of making the field look small. 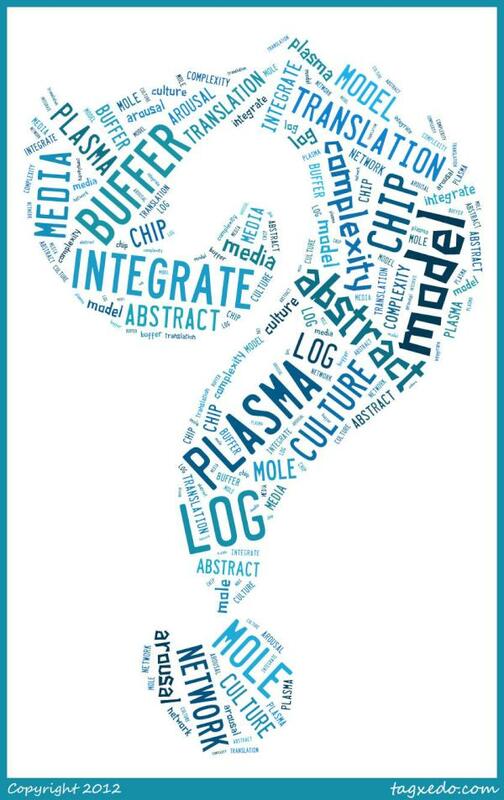 I’d be interested to add in additional questions that you’ve found useful to dispelling confusion from collaborations or in other research projects. Just let me know through Twitter or the contact form.